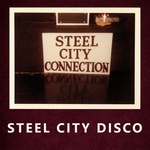 Kalita Records present Steel City Connection's 1978 single "Steel City Disco", accompanied by extensive interview-based liner notes and never-before-seen photos. Originally privately released on Pittsburgh's Jeree Records, Steel City Disco is one of the most sought-after disco records in existence. Featuring an evolving line-up of various Pittsburgh-based students from the band's inception in 1975, Steel City Connection featured a multi-race make-up of musicians, led by bassist Keith Stewart. Includes unreleased extended version of "Dansation", sourced from the original master tapes. Kalita Records make available once more Okyerema Asante's highly sought-after Ghanaian disco monster, Sabi (Get Down), produced in collaboration with Oneness of Juju leader Plunky Nkabinde. 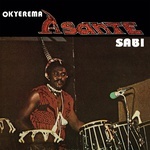 After touring the world and recording with Hugh Masekela, Lonnie Liston Smith and Oneness of Juju, Sabi (Get Down) was Okyerema's first solo record, released privately in limited numbers on his label Atumpan Records in 1980/81. Recorded and manufactured in the USA, but only ever released on the African continent, this self-funded, scarce, and brilliant Afro-disco LP regularly exchanges hands for eye-watering prices. Here, Sabi (Get Down) is repressed in its original, 14 minute-long form (check out some breathtaking vocals by Oneness of Juju's Lady Eka Ete at around 13 minutes! ); the title track is backed by the equally impressive "That's My Girl" on the B side. In addition, it is accompanied by extensive interview-based liner notes and never-before-seen photos, detailing Okyerema's career from his membership of Ghana's legendary band Hedzolleh to performing with Paul Simon and Fleetwood Mac twenty years later. Sabi (Get Down) has so far received fantastic support from leading DJs such as Gilles Peterson (who named it the eighth-best reissue of 2017), Hunee, Antal, Palms Trax, Alexander Nut, Red Greg, Nick The Record, John Gomez, Lakuti, Dan Shake, and many others! The hope here is that you love both tracks, and join in celebrating the musical world of Okyerema Asante! Printed inner sleeve. Kalita Records and CC:EDITIONS (a new venture by Australia's CC:DISCO) jointly announce a 12" EP comprised of four of Nana Tuffour's greatest electronic burger highlife tracks, accompanied by interview-based liner notes. Here, in partnership with Nana, we select two highly sought-after songs from his 1993 release Genesis, namely "Sikyi Medley" and "M'Anu Me Ho", and pair them his with two lesser known yet equally deserving tracks "Asamando" and "Jesus" from his 1997 CD-only release Highlife Tropicana. Burger highlife's transcendence of traditional musical boundaries that helps make it so accessible to listeners. Kalita Records present the first ever and definitive discography of Carrie Cleveland. 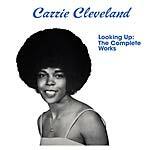 Here, The label offers an expanded version of her 1978 album Looking Up, including both the issue and promotional versions of her single "Make Love To Me", and the previously unknown sweet soul single "I've Got A Feeling". Privately arranged, recorded, and produced by Carrie and her husband Bill as a labor of love in their backyard studio in 1978, Looking Up is one of the most in-demand soul/disco LPs in existence, sought-after in particular for their track "Love Will Set You Free". In addition, the promotional version of Carrie's single "Make Love To Me" is one of the best and rarest sweet soul records to have emerged out of the West Coast soul scene, and her single "I've Got A Feeling" is until today virtually unknown even to the most seasoned of collectors, with even Carrie herself unsure if it was ever released. With the album originally pressed in a limited run of just 1000, with 500 copies of each single, original copies of Carrie's records deservingly command eye-watering figures on the second-hand market. Kalita Records now satisfy the thirst with the first ever official reissue of her entire discography. Includes extensive interview-based liner notes and never before seen photos, detailing Carrie and Bills' life and musical career. CD version is accompanied by a mini-poster. Restocked; LP version. Includes 7". Gatefold Sleeve. Kalita Records present the first ever and definitive discography of Carrie Cleveland. Here, The label offers an expanded version of her 1978 album Looking Up, including both the issue and promotional versions of her single "Make Love To Me", and the previously unknown sweet soul single "I've Got A Feeling". Privately arranged, recorded, and produced by Carrie and her husband Bill as a labor of love in their backyard studio in 1978, Looking Up is one of the most in-demand soul/disco LPs in existence, sought-after in particular for their track "Love Will Set You Free". In addition, the promotional version of Carrie's single "Make Love To Me" is one of the best and rarest sweet soul records to have emerged out of the West Coast soul scene, and her single "I've Got A Feeling" is until today virtually unknown even to the most seasoned of collectors, with even Carrie herself unsure if it was ever released. With the album originally pressed in a limited run of just 1000, with 500 copies of each single, original copies of Carrie's records deservingly command eye-watering figures on the second-hand market. Kalita Records now satisfy the thirst with the first ever official reissue of her entire discography. Includes extensive interview-based liner notes and never before seen photos, detailing Carrie and Bills' life and musical career. LP version consists of both the expanded album and a bonus 7" single; housed in a gatefold sleeve. Kalita Records announce the first official reissue of the Sophisticated Ladies' sought-after disco single This Ain't Really Love (1980), backed by a Mighty Zaf edit of "Check It Out", and accompanied by interview-based liner notes. Formed in 1955, the Sophisticated Ladies started their recording life as R&B girl group The Bobbettes, consisting of five female vocalists. The group was signed to Atlantic Records and known for their 1957 hit single "Mr. Lee". With the emergence of the disco era, the Bobbettes changed their name to the Sophisticated Ladies, allowing the change from a girl group to a disco outfit. Originally recorded at Jim Morris and Rick Miller's Tampa-based Morrisound Studios, Getting Next To You features a mixture of both local Florida talent plus jazz superstar Nat Adderley and bassist John Lamb at their finest. Originally pressed in a run of just 1,000 copies, with limited distribution, the album has long been sought-after by both collectors and DJs alike, acknowledged as a true disco masterpiece. 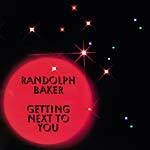 Here, in collaboration with Randolph Baker, Kalita Records offer the four in-demand tracks from the album: "Getting Next To You", "Jazzmen", "Callin' Me", and "Party Life". The former is an in-demand horn and chant-filled disco masterpiece, which, as Randolph explains, concerns unity and "everyone on the same level... in other words, everyone just loving life". It is arguably the song that Randolph is most well-known for in the disco and funk scene and perfect for the modern discerning dancefloor. "Jazzmen" is an instrumental track with prominent trumpet and saxophone solos working with funky basslines to produce a truly great jazz-funk groove. "Callin' Me" is a soulful disco number featuring the lead vocals of Laurie Erickson and is "about being on the road and ensuring loved ones that you will always come back home no matter what. It was like a promise to ensure loved ones they didn't have to worry". Lastly, "Party Life" is a joyous disco track with a strong funk bassline and horns. Here, with access to the 24-track master tapes Kalita Records include the original version plus an unreleased instrumental take, allowing the listener to focus on the infectious bassline and make it even more ready for the modern dancefloor.